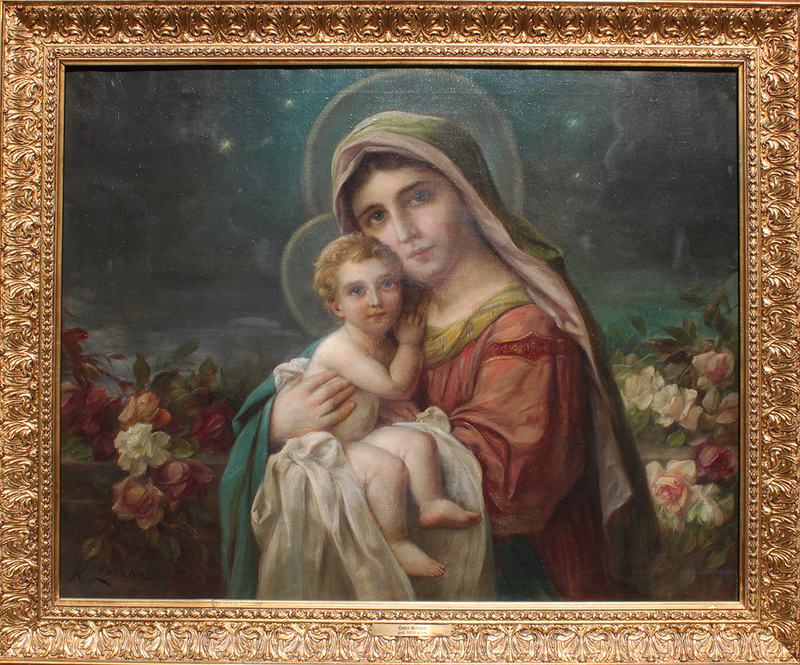 Hans Zatzka (Austrian, 1859-1945) Oil on Canvas Titled "Madonna and Child" depicting a young Virgin Mary holding a baby Jesus in her arms, surrounded with flowers and under twililight sky. 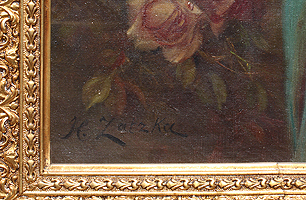 Signed: H. Zatzka (lower left) within a gilt wood frame. 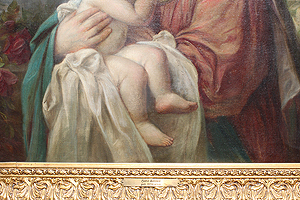 Circa: 1930. 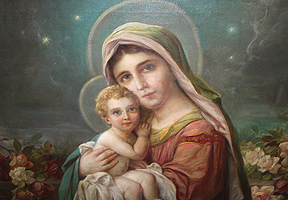 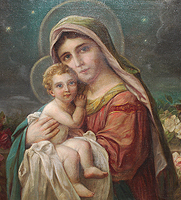 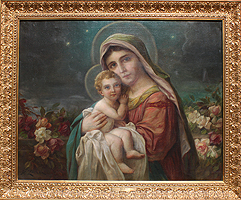 Zatzka, like many other artists of the era, traveled around Europe working and selling his art and in one of his many trips to Italy, he developed a special interest in Religious themes, decorating churches with frescos as well as painting several religious scenes of Madonna's and Child, Saints, Angels and others. 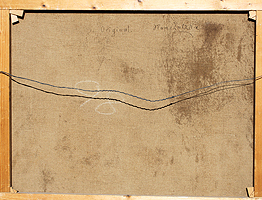 In 1885 Zatzka was commissioned to paint "The Naiad of Baden" a ceiling fresco	at Kurhaus Baden. 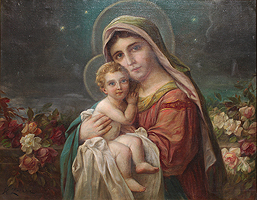 Most of Zatzka's income came from his work in religious art and special church commissions.